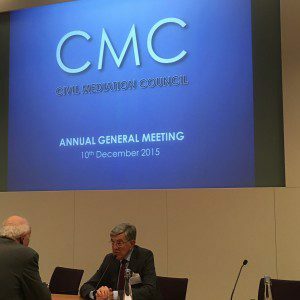 ProMediate is involved with the Civil Mediation Council, which is the main voice for mediation in the UK. Being a member helps us to keep up to date and involved with developments in the ADR world such as the Business Commissioner, and so as to promote increased use of mediation in the UK. In the 2016 CMCL Board Elections ProMediate was elected to serve as a registered mediation provider on the board alongside CEDR for 3 years ending in February 2019. We will use this membership to drive forward business in the coming years.